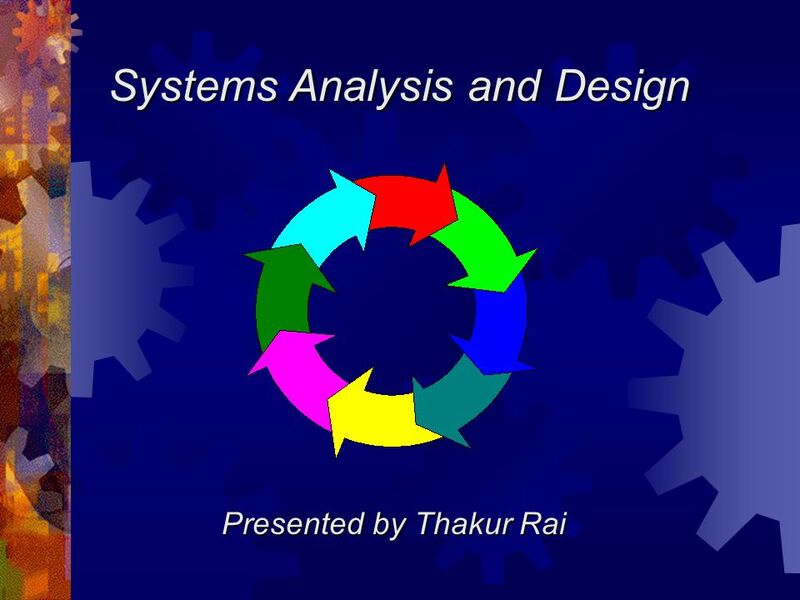 Systems Analysis and Design Presented by Thakur Rai. 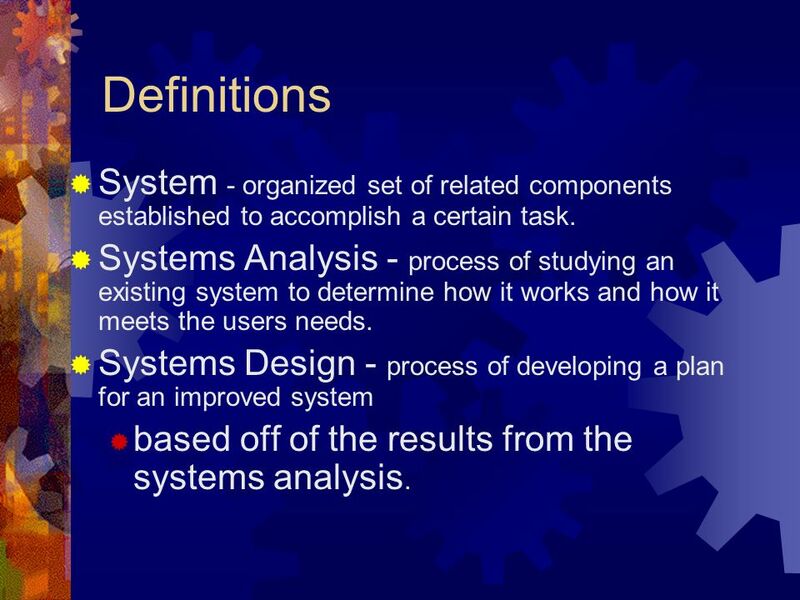 3 Definitions System - organized set of related components established to accomplish a certain task. 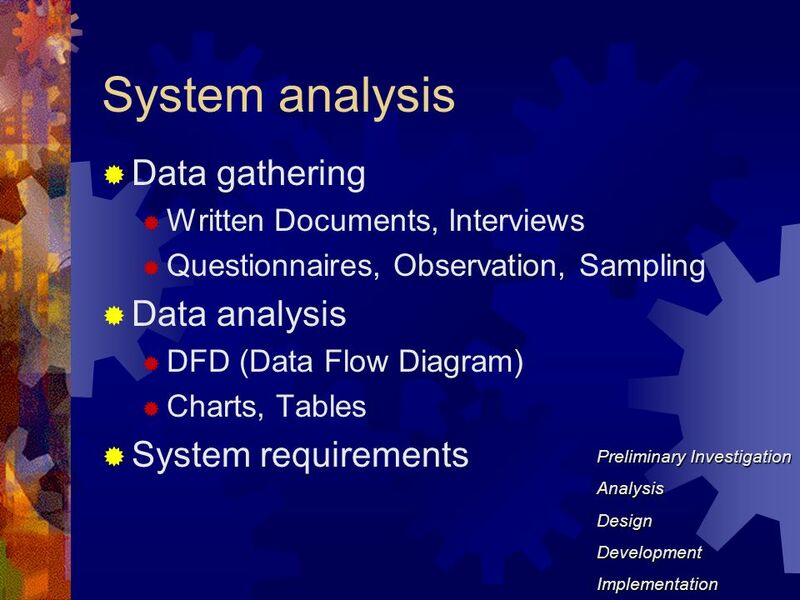 Systems Analysis - process of studying an existing system to determine how it works and how it meets the users needs. 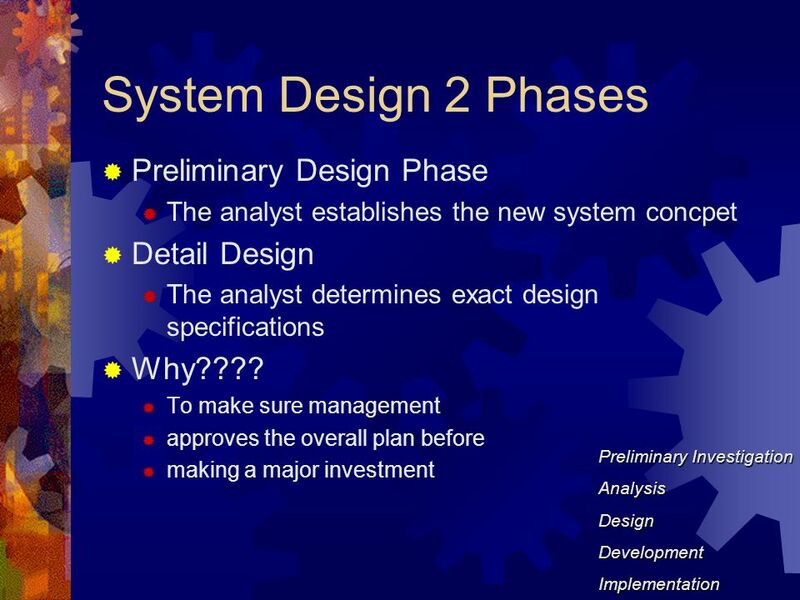 Systems Design - process of developing a plan for an improved system based off of the results from the systems analysis. 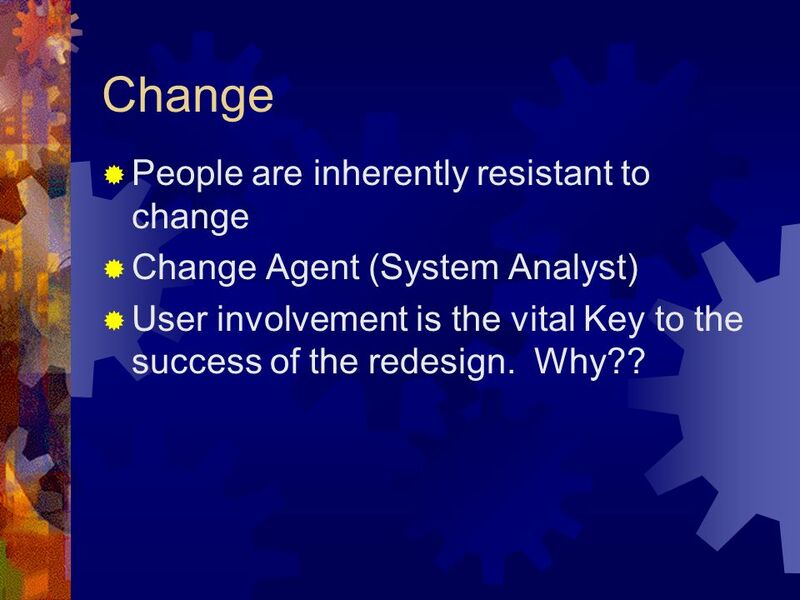 4 Change People are inherently resistant to change Change Agent (System Analyst) User involvement is the vital Key to the success of the redesign. Why?? 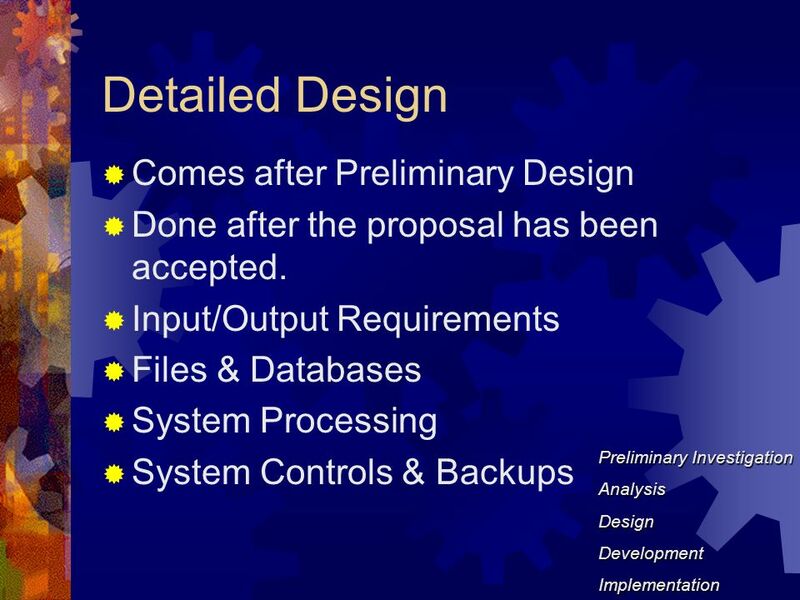 Download ppt "Systems Analysis and Design Presented by Thakur Rai." Welcome to CMPE003 Personal Computers: Hardware and Software Dr. Chane Fullmer Fall 2002 UC Santa Cruz. 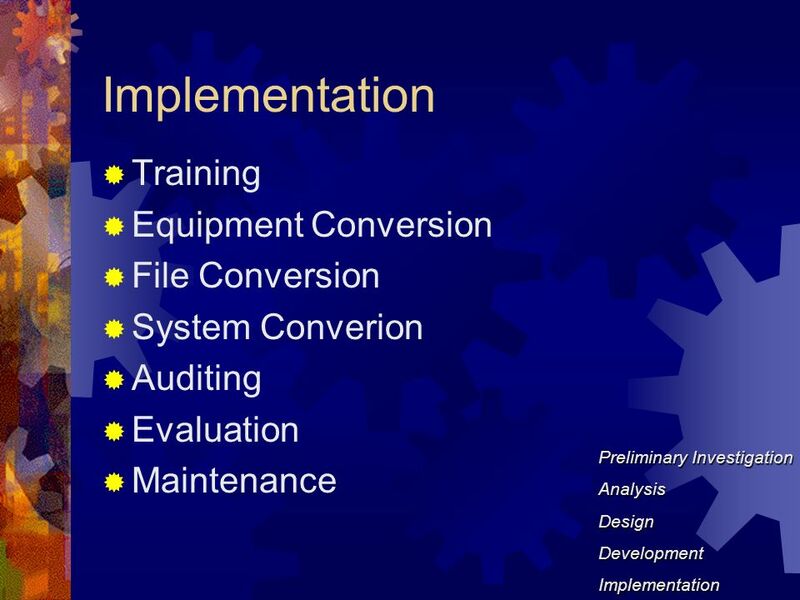 Systems Analysis & IT Project Management Pepper. 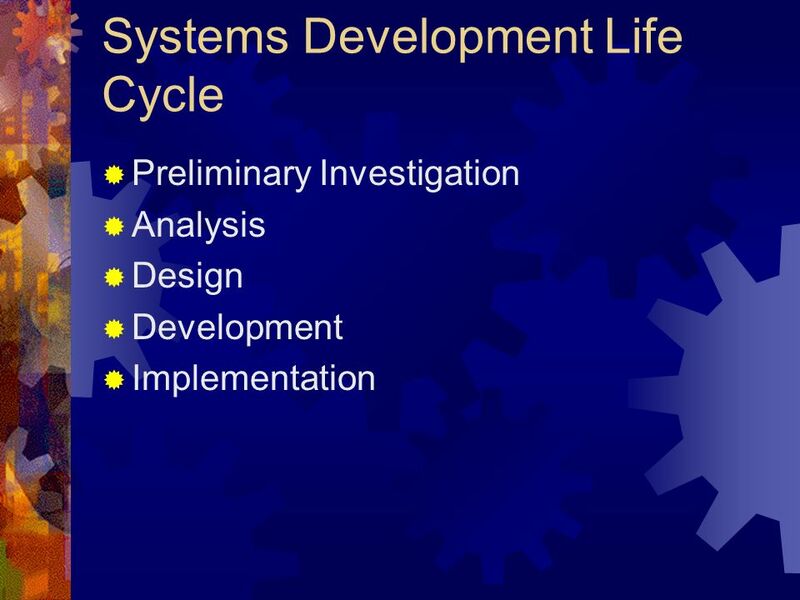 System Life Cycle BirthDeathDevelopmentProduction. 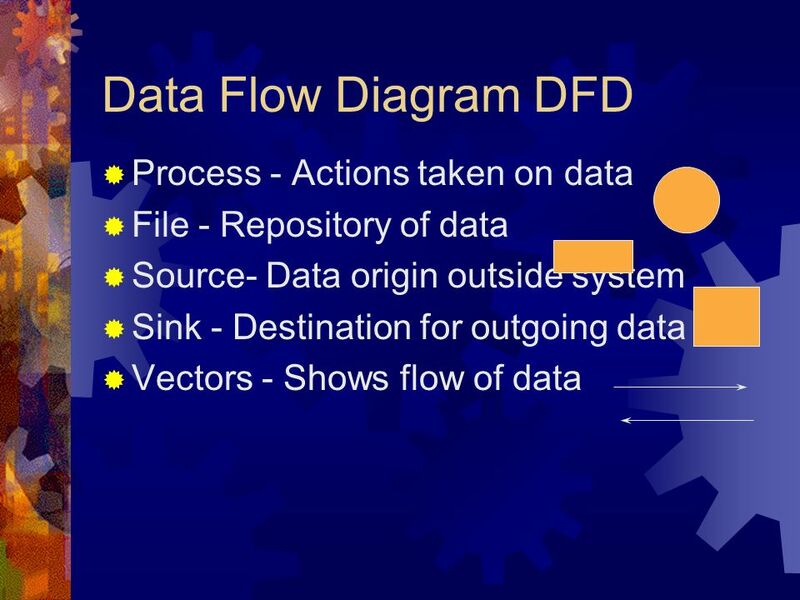 Systems Development Infsy 570 Dr. Ocker. 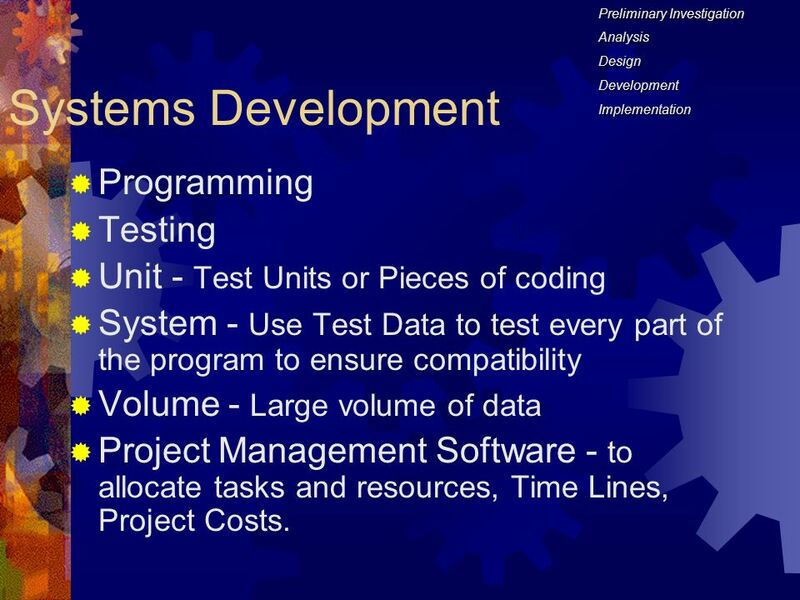 What we Mean by Software Quality Software Quality Effective- ness UsabilityEfficiencyReliability Maintain- ability. Pg. 1 Systems Development Life Cycle (SDLC) Systems Analyst – change agent Systems Analyst – change agent  coordination, communication, planning, design. 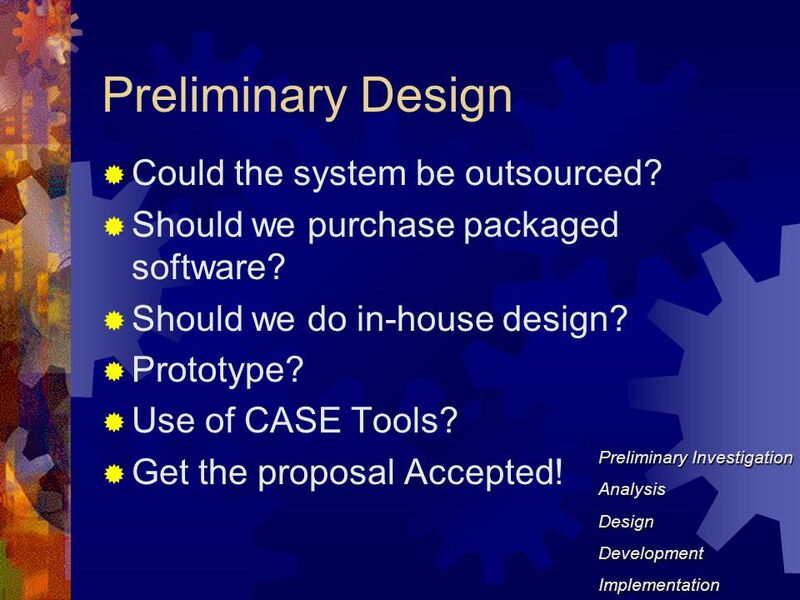 Designing new systems or modifying existing ones should always be aimed at helping an organization achieve its goals State the purpose of systems design. McGraw-Hill Technology Education © 2006 by the McGraw-Hill Companies, Inc. All rights reserved CHAPTER SYSTEMS ANALYSIS AND DESIGN McGraw-Hill/Irwin. 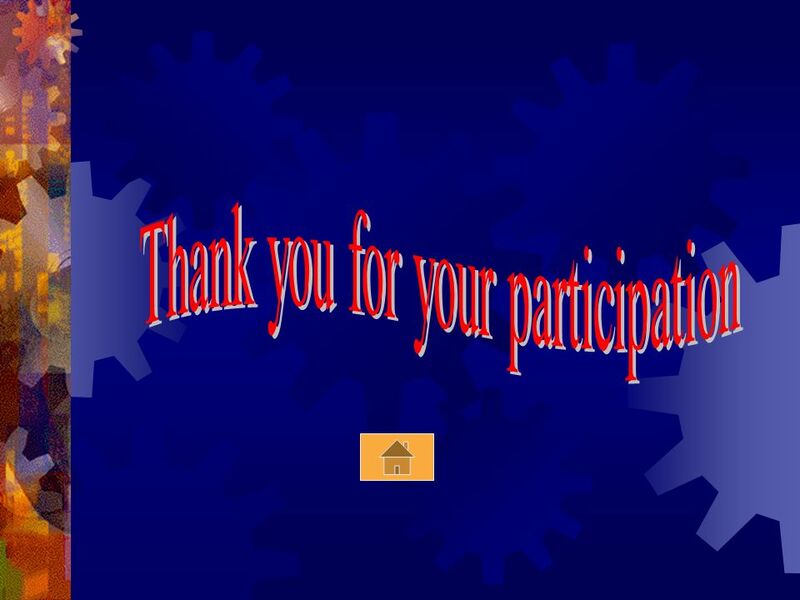 6.1 Copyright © 2014 Pearson Education, Inc. publishing as Prentice Hall Building Information Systems Chapter 13 VIDEO CASES Video Case 1: IBM: Business. 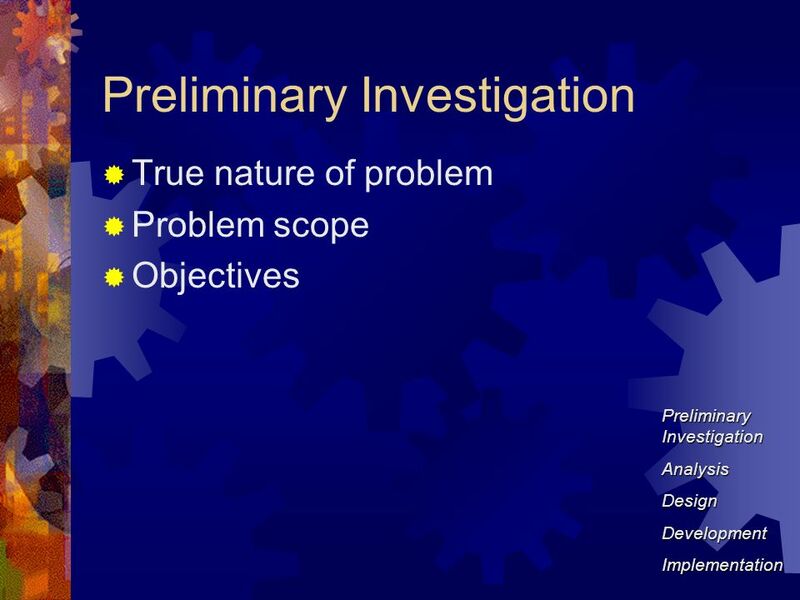 Lecture 13 Revision IMS Systems Analysis and Design. Discovering Computers 2008 Chapter 12 Information System Development. 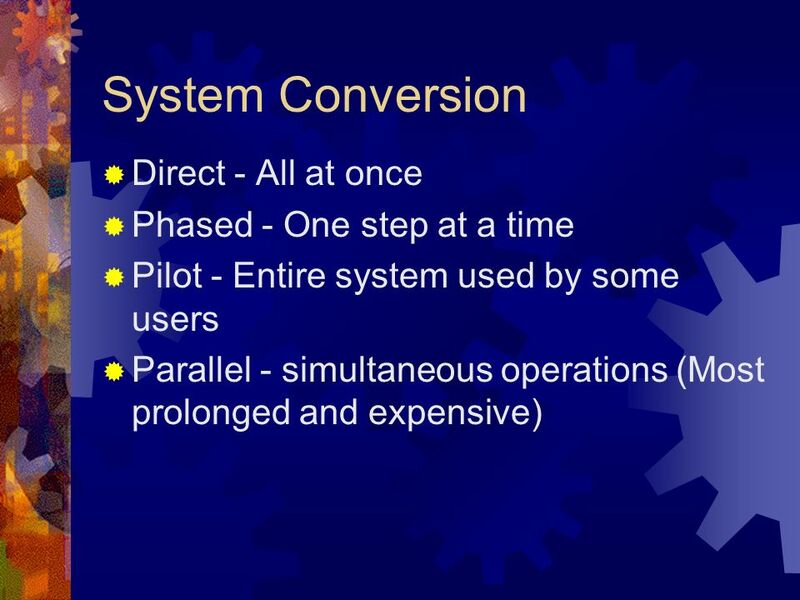 System Implementations American corporations spend about $300 Billion a year on software implementation/upgrade projects.